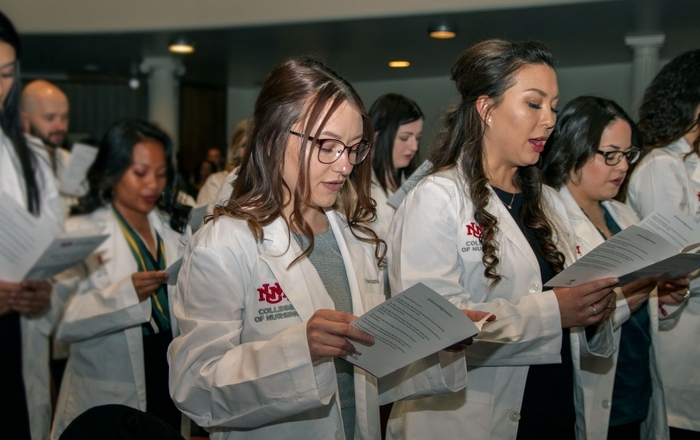 The future of health care within the U.S. Veterans Administration is bright, as the agency seeks to hire thousands of qualified health care workers, a top department official told students at the University of New Mexico Health Sciences Center this week. “We are committed to meeting our challenges head-on," said Carolyn Clancy, MD, interim under secretary for health for the U.S. Department of Veterans Affairs. "I came to the VA this year because I thought that it had all the components needed in order to deliver the quality of care our veterans have earned." The VA system is huge, overseeing the health care of more than nine-million vets who have fought in wars ranging from World War II to Iraq, she said. “People in different age groups have very different concepts and expectations of health care. Our veterans range from 90-year-olds who like to come and hang out in the lobby and talk to other vets to 20-somethings who don’t understand why there isn’t an app for everything,” she said. The agency has more than 340,000 employees – a third of them vets - and it held more than 90 million healthcare appointments in 2013. 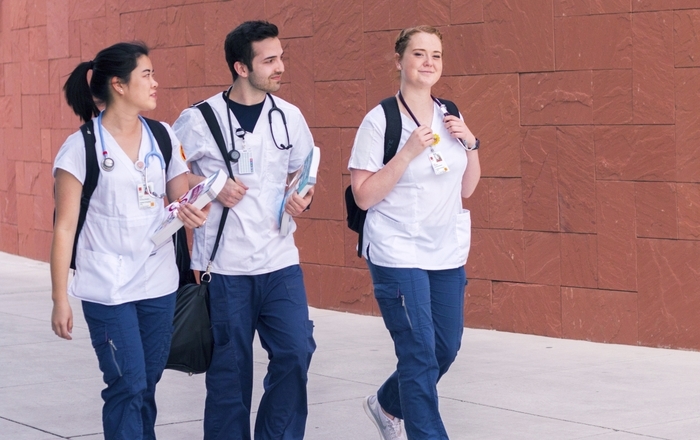 They are the largest employer of nurses in the nation and are seeking to recruit thousands of health care workers, said Clancy. “People tell me everyday how gratifying they find it to work with our patients. And I have traveled throughout the system, I have often been stopped by vets who also want me to know they believe they are receiving excellent care here. “And, our work is exciting. We have been ahead of the curve in research regarding spinal injuries, shingles care and PTSD,” she said. 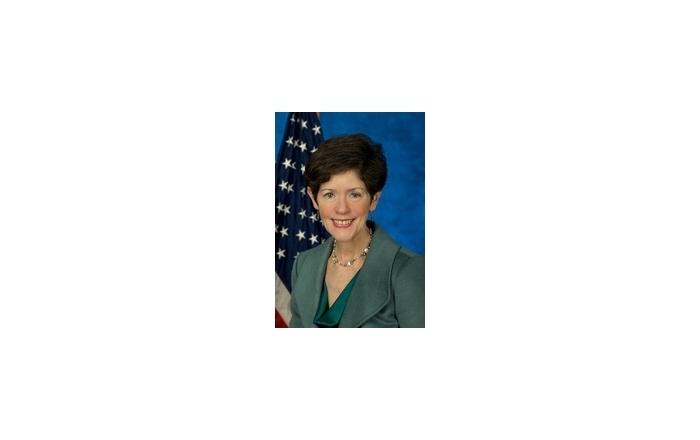 Clancy was appointed as interim undersecretary for health in July. 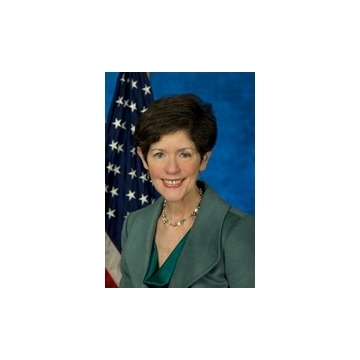 She previously served as assistant deputy under secretary for health, quality, safety and value. Clancy served as director of the Agency for Healthcare Research and Quality (AHRQ) from 2003-2013. Clancy is a general internist and health services researcher. She graduated from Boston College and the University of Massachusetts Medical School and was a Henry J. Kaiser Family Foundation Fellow at the University of Pennsylvania. 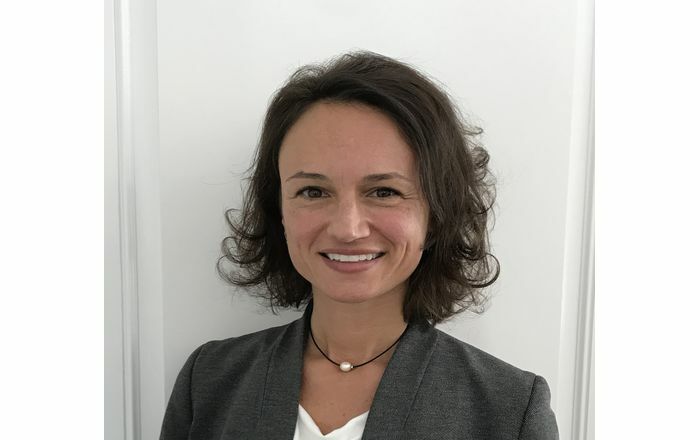 She holds an academic appointment at George Washington University School of Medicine and serves as senior associate editor for Health Services Research.